LP met een gewicht van 180 gram, gemaakt in Duitsland door Speakers Corner Records. Puur analoog, audiofiele mastering vanaf de originele mastertapes. Originele uitgever: Columbia. Leveringsomvang: 1 33 toeren langspeelplaat in een LP cover (350gr/m2) met gevoerde binnenhoes. 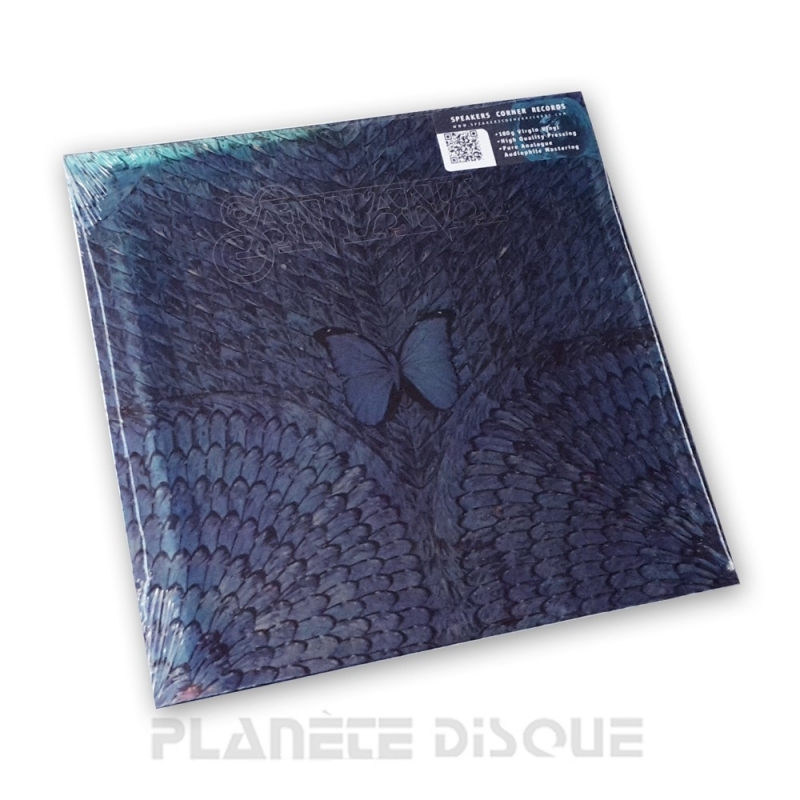 Planète Disque verpakt iedere LP zorgvuldig in een stevige doos met opvulkartons en een luxe plastic buitenhoes van PVC. "Borboletta" - Carlos Santana (g, perc); Tom Coster (keyb); Leon Patillo (org, el-p, voc); Stanley Clarke (b); Michael Shrieve, Leon „Ndugu“ Chancler (dr); Airto Moreira, Flora Purim (perc); Jose "Chepito" Areas, Armando Peraza (perc, cga), a.o. After some hot live performances and subversive jaunts made in the aftershock of Woodstock, Santana and his band entered the calm atmosphere of the recording studio to make their sixth album. Taking a look at the blue butterfly on the LP cover, it wasn’t surprising that purist Santana fans scented that the music in this particular garden would be more gentle and cultivated than the previous hard-rock sound. But one thing after another: in attune with semi natural sounds, the 'Canto De Los Flores' swings along to dabbed figures on the Rhodes piano and waves of multi-cultural drumming. The drama continues with "Life Is Anew" – a powerfully arranged ballad, followed by a highly emotional rock number ("Give And Take"). This takes us to where Santana feels most at home – "Promise Of A Fisherman" with its velvety, wonderfully expansive guitar sound. By now, at the latest, the listener joins the sensitive outdoorsman on his chase after the butterfly named "Boborletta" with a wealth of gorgeous sounds. Don’t hesitate to capture this rare specimen for your collection!